Hey sailor! 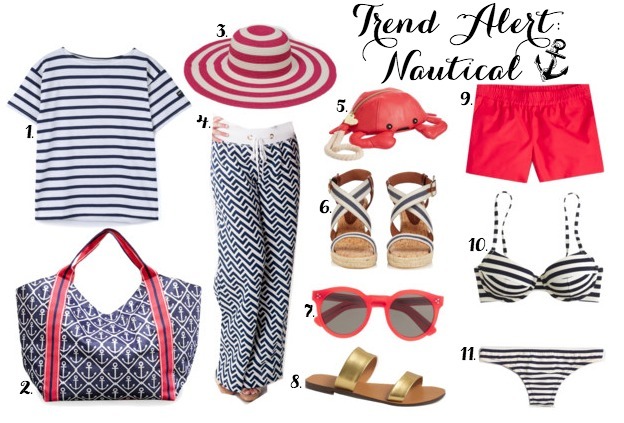 One of my favorite summer trends is nautical anything! Nautical is often a trend that pops up around the summer months, and I'm not complaining, it will be on of those trends that never goes out of style! Everything from navy to anchors, I want to own it! Even though I'm not lounging around the deck of my yacht all day (I wish!) I love the colors and the feel of being ready for the beach!